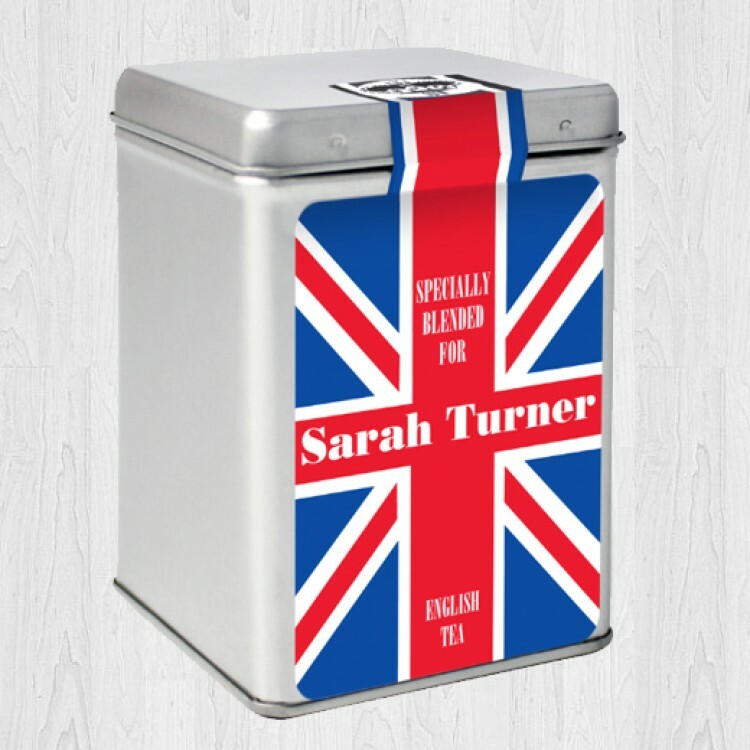 Personalise this Union Jack style Tea Caddy, decorated with adorable bunting, with a name of up to 12 characters and a message of 15 characters, to appear above and below the teapot motif. 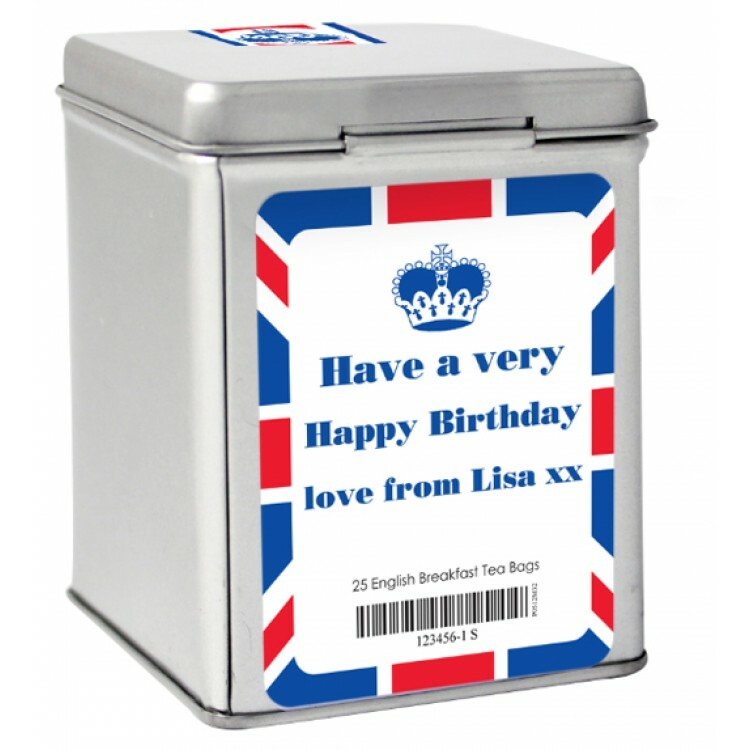 On the reverse side, you can also create a personalised message, which will be spread over 3 lines and using up to 20 characters per line for that added touch, making it the ideal gift for Birthdays, Anniversaries and Mother's Day. 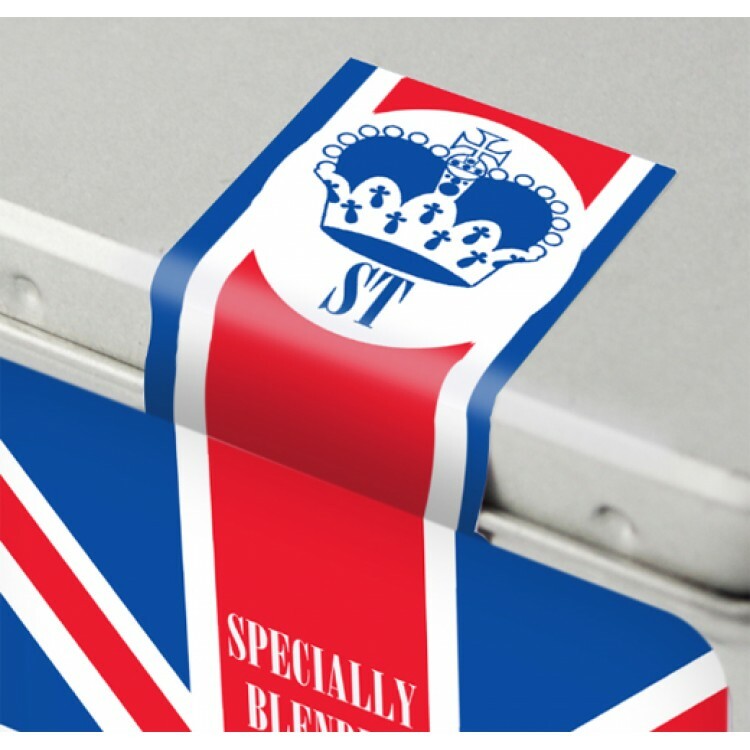 'English Blend' is fixed text, appearing on the lid.